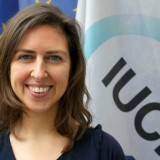 Isabelle Michele Sophie Anguelovski, Barcelona. Marc Barra, Paris. Katie Coyne, Austin. Samarth Das, Mumbai. 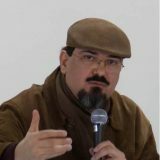 Marcelo Lopes de Souza, Rio de Janeiro. Artur Jerzy Filip, Warsaw. Claudia Luna Fuentes, Saltillo. Russell Galt, Edinburgh. Ursula Heise, Los Angeles. Toby Kent, Melbourne. Patrick M. Lydon, Osaka. 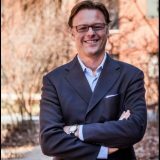 Pascal Mittermaier, Boston. Steward Pickett, Poughkeepsie. Huda Shaka, Dubai. 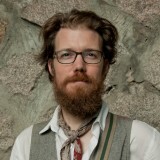 David Simon, Gothenburg. Jay Valgora, New York. Chantal van Ham, Brussels. There is a rich conversation to be found by exchanging ideas discovered in great writing. What did you read in 2018 that moved, inspired, or otherwise excited you? That was our prompt to 17 diverse contributors to TNOC. It didn’t have to be published in 2018; only that they read it in 2018. My own bookshelf right now. As would be expected from a diverse, world-wide group with many interests, the reading list covers vast territory. 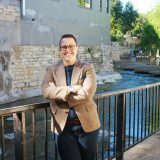 From climate change, modern economics, and how urban planning promoted segregation in America to ecological perception and futurist fiction. We’ve done other book lists previously, and now it’s an annual thing. First we asked 90 TNOCers what they would recommend as one thing every urbanist should read. We did it again the next year, but specific to every continent. Perhaps you read something amazing in 2018. If you did, share it here as a comment. There is a rich conversation to be had in simple exchanging ideas discovered in great writing. 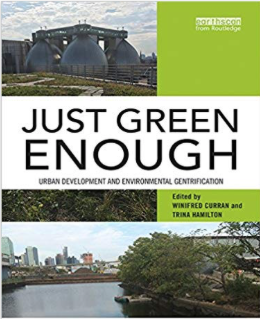 This is an essential book demonstrating the need for a new ecological, political, and social imagination to place interactional, reparative, distributional, and participative justice at the center of green city planning. Only through transformative green planning and creative lasting alliances will green interventions be public goods rather than environmental privileges. 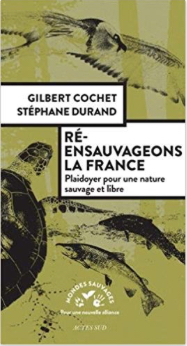 The book takes an optimistic look at the state of wilderness in France, showing that despite the biodiversity crisis, nature resists and even returns. 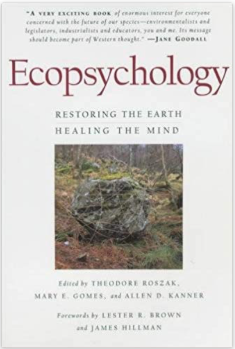 The authors explain that it is coming back in every environments—from mountain to sea—and offers a range of simple solutions to create a place for plants and animals. Nature has all the resources to repair its wounds … if only it is given the opportunity. Forests have doubled in size in less than two centuries. Most large animals have returned. Their numbers are still modest, but they are growing year by year. By applying the few tips in these pages, the authors want to convince all those who dream of African savannahs or Alaska that such natural spectacles are possible in France! 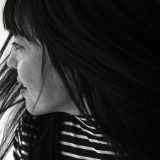 Katie co-leads the Urban Ecology Studio at Asakura Robinson where she is a passionate advocate for design informed by studying the overlap between social and ecological systems. 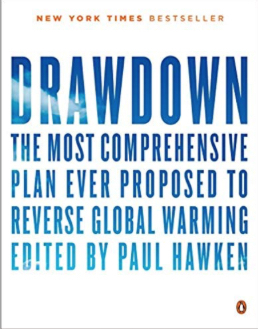 Drawdown is unique in that I feel like I’ve been reading books, reviewing data, and listening to people talk about climate and am consistently left lacking hope. Drawdown resonates with me because it carefully outlines 100 (rigorously evaluated!) succinct ideas about acting on climate change. It categorizes solutions across a wide range of topics and meets my expectations for the holistic and ecofeminist path to action I know we need. Finally, a majority of the solutions are happening on the ground right now. We need more books that break down the big issues into bites you can sink your teeth into but that still feel substantive enough to matter. 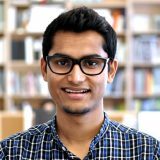 Samarth Das is an Urban Designer and Architect based in Mumbai. Having practiced professionally in Ahmedabad, Mumbai, and subsequently in New York City, his work focuses on engaging actively in both public as well as private sectors—to design articulate shared spaces within cities that promote participation and interaction amongst people. 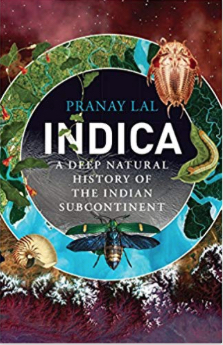 Through Indica, a book that draws a number of parallels from Eric Sanderson’s masterpiece Manahatta: A Natural History of New York City, Lal has managed to condense thousands of years of the earth’s evolution into tangible and legible segments across a range of issues that have contributed to the intense biodiversity found in our country today. It has moved me immensely because the book constantly puts into perspective the incredibly small amount of time we (humans) have been around compared to the history of the planet. 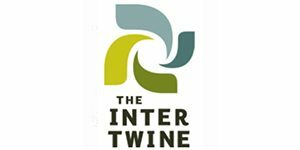 Even so, the intense and irreversible shifts we have effected on the planet that is home to thousands of other living creatures and ecosystems that have existed far before we arrived, and those that may not be around for much longer, helps lend perspective to the way we need to approach development within our cities as well as rural areas in the future. 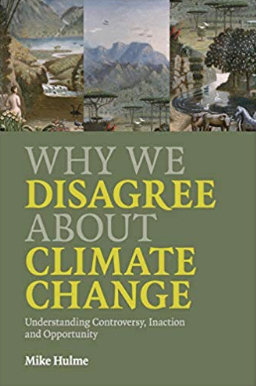 The most interesting book I read this year is, Why we Disagree About Climate Change, by David Hulme. 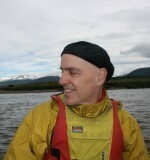 Being himself a climate change expert—and by no means a climate change denier!—Hulme nevertheless challenges or relativises some pictures we (the “enlightened” and scientifically well-informed ones) have cultivated: as he stresses, climate change is not (only) a scientific fact, but a physical phenomenon which is experienced in different ways and at various levels by different people at different places. It is a problem, yes, but this problem is to some extent relative. Moreover, in spite of all the real or potential dangers, it is important to understand that fear can be consciously or inadvertently manipulated (and not only by politicians: science and scientists are never neutral). 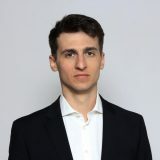 Specialist in the field of urban planning and design and a uthor of the book “Big Plans in the Hands of Citizens”, Artur is currently an assistant professor at the Warsaw University of Technology. “Chaotic” is one of the most common adjectives being used to describe spatial and functional disorders of modern cities. 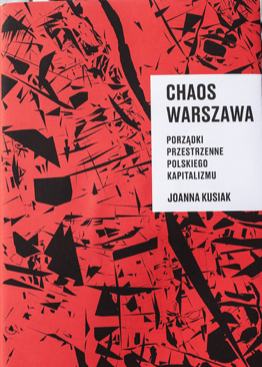 In the book Chaos Warsaw, Joanna Kusiak renders brilliantly economic mechanisms that lead to so called “chaos” while not being “chaotic” themselves. After reading the book, then urban chaos doesn’t seem that much chaotic any more. The English version of Stephen Mitchell on the Tao Te Ching, originally written by Lao Tzu, is supreme. From there, the Castilian version was made. 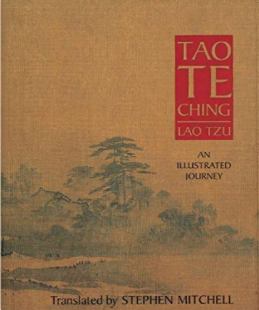 And for the first time, it allowed me to feel connected with his wisdom, accompanied by Taoist illustrations. It allows me to order vital creative efforts, revealing substantial nutritious interconnections. 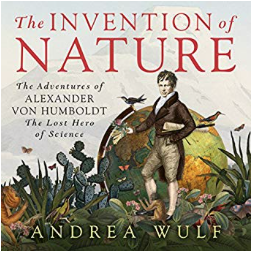 An enthralling account of Alexander von Humboldt’s extraordinary life and his many prescient observations. Driven by an insatiable curiosity, he established a global “brotherhood of scientists” that transcended politics and war. One can only wonder, what would he have thought of today’s sprawling megacities? How would they feature in his famous Naturgemälde diagram? 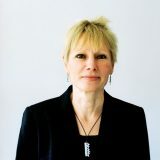 Ursula Heise is the Marcia H. Howard Chair in Literary Studies at the Department of English and the Institute of the Environment and Sustainability at UCLA. 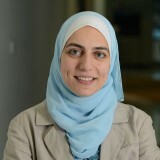 Her research and teaching focus on contemporary literature and the environmental humanities; environmental literature, arts, and cultures; science fiction; and narrative theory. 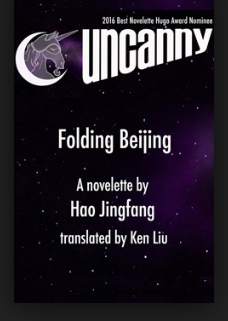 My favorite read in 2018 was Hao Jingfang’s short story “Folding Beijing”. This science fiction story was first published online in 2012, translated into English in 2015, and won the Hugo Award for best novelette in 2016. It imagines a future Beijing of 80 million inhabitants that flips upside once every 24 hours: on one side, 5 million people live in luxury with ample green spaces, which they can enjoy for 24 hours; on the other side, two sets buildings take turns for the 25 million inhabitants of Space Two, which is active for 14 hours, and the 50 million of the seedy Space Three, who are only given 8 hours of waking time. When their spaces are not active, the inhabitants rest sedated in sleeping capsules. Hao’s description of this revolving, folding and unfolding megacity delivers a mind-boggling, surrealist portrait of urban inequality, depressing and exhilarating at the same time. Her protagonist, a trash worker who inhabits Space Three but travels illegally to Spaces Two and One to make money on the side, achieves his modest goals in spite of being crushed by socio-economic forces whose true nature he only comes to understand in the course of his journey. 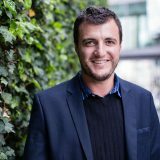 Toby Kent is metropolitan Melbourne’s Chief Resilience Officer. 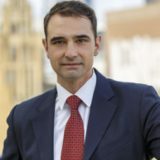 In this role he works with many stakeholders to create the first metropolitan-wide, local government-led strategy for Melbourne. In a world in which it seems that fewer people have time to think deeply, a book on how the world is accelerating and how better to manage it, was appealing. 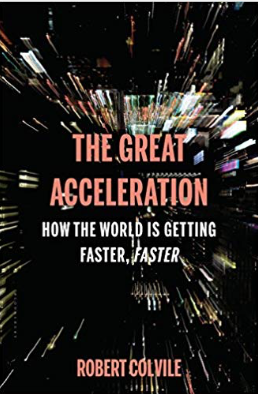 The challenge thrown up by the book is that humans seem to crave speed, however unwittingly, and perhaps conversely to what some may assume, the stresses of constant information and an accelerating world seem to correlate not just with greater productivity, but also satisfaction. An interesting point of contemplation at this busy (and ever busier….!) time of year. Link to standalone essay, here. 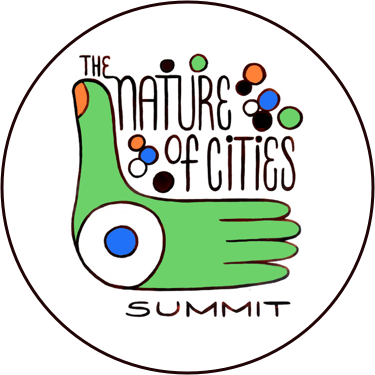 When a neuropsychologist blends science and art, I’m intrigued; when she suggests how to use imagination and perception as tools for building beautiful, environmentally-sane cultures (and cities), I’m elated. 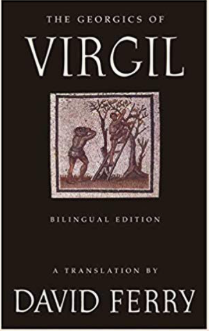 This short essay is one to be read many times, as is the larger collection in which it is printed. 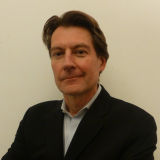 Pascal Mittermaier is the Global Managing Director for Cities at The Nature Conservancy. 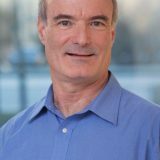 He leads a team at the Conservancy focused on transforming how the world’s growing cities harness nature’s power to build resilient, livable, thriving communities for millions of people. 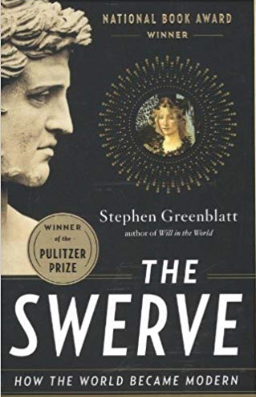 This year I read The Swerve: How the World Became Modern by Stephen Greenblatt. In this Pulitzer Prize-winning historical detective thriller, Greenblatt describes how, early in the 15th Century, dedicated monks obsessively explored libraries all over Europe in search of ancient Greek and Roman texts neglected and suppressed for hundreds of years. The ideas they rediscovered in these lost documents literally contributed to kick-starting the Renaissance and the modern age. It’s a tale of determination in the face of resistance from those in power and ultimately the rediscovery of thinking that sparked a swerve from the dark ages into modern times. We need a similar swerve movement to align our human civilization to the challenges of sustainability and climate change! 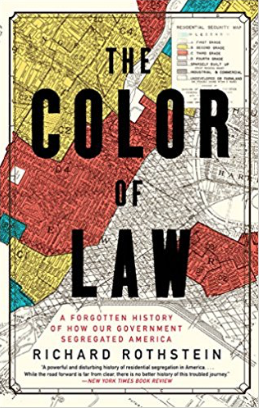 Rothstein documents that the ubiquitous racial segregation of American cities reflects more than individual choices. It is the result of a long history of racist government policies. This conclusion resonates with my experience growing up under segregation, but it also encourages my research into how the segregation of cities affects their ecology. 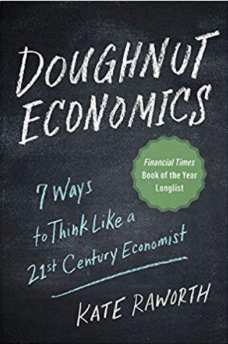 I found Raworth’s book to be a compelling case for overturning the way we learn, teach, think about, and discuss economics. It provides a holistic and vivid explanation of why we need a different approach and what that could mean for the world. 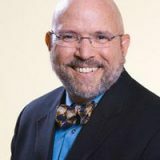 It has propelled the discussion squarely into the mainstream and has given me the confidence to push the conversation further with anyone, including with my colleagues and clients. 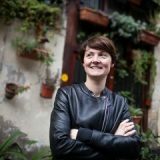 Since cities all differ, with each being unique, recipe books of what to do are almost by definition useless; however, learning how to do things better and sustainably is crucial. 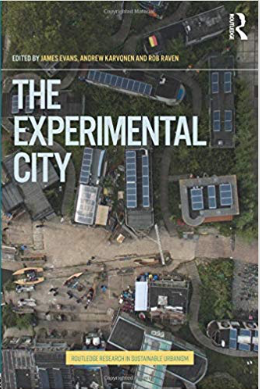 The central message of this stimulating edited collection is that, as key agents of change, cities are sites of experimentation for urban sustainability, which has to be locally appropriate and globally literate. The 17 chapters fall into 3 sections, respectively addressing logics of experimentation, experimenting in cities, and experimental cities. 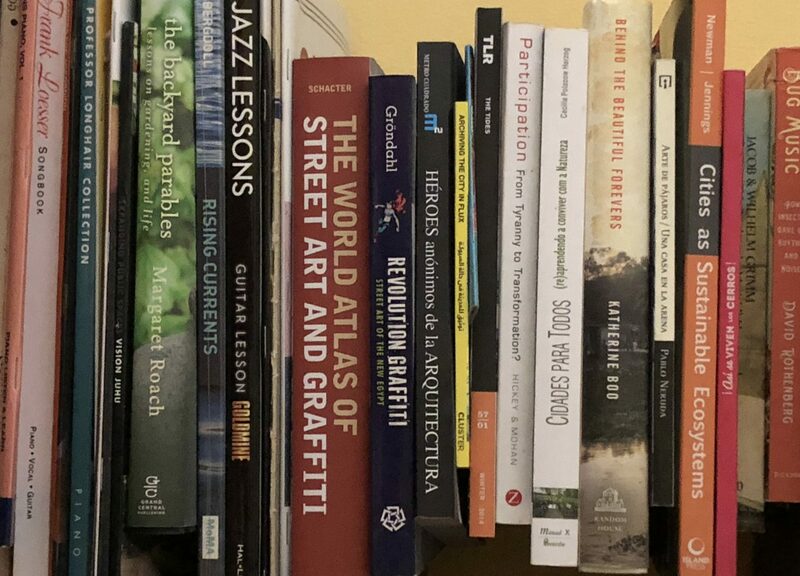 They provide diverse approaches to experimentation of different kinds, drawing on case studies from around the world, thereby avoiding the classic Northerncentric trap of so much urban sustainability literature. Struggling with writing a book about utopia, I searched for a source to illuminate the conflicts of our relationship to nature, the city, to one another? The most hopeful narratives emerge from times of greatest turmoil: a farmer’s almanac, an instruction manual of artifice and nature, immersed in an epic poem of infinite human potential and frailty. 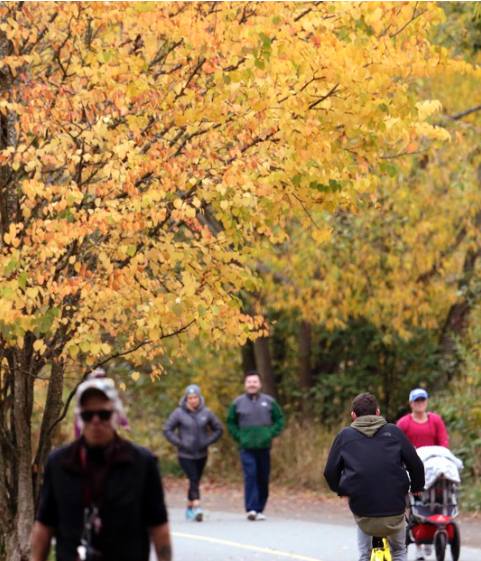 Many cities in the world are losing trees and lack budget to maintain their green spaces. City Forest Credits generates funding for city tree canopies from private companies and individuals that wish to offset their carbon emissions by buying credits for tree planting or maintenance. 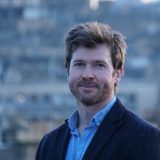 This can in my view be a game changer for mobilising investment to create carbon neutral cities which improve air and water quality, reduce energy costs, and improve health and wellbeing for their citizens.